At Crystal Chauffeurs we offer a wide range of transportation including traveling by air. Being one of the UK’s leading transport suppliers we work hard to insure that our prices and quality is always ahead of any other company in the area. Our aircraft options vairy from budget to VVIP and are all fully equipped with the latest mod cons. 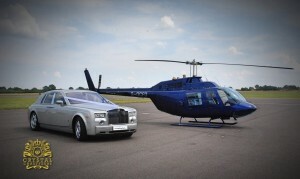 Whether you require a helicopter or jet for that all important business trip, or tour, Crystal Chauffeurs will always only be a phone call away to help you with your personal requirements. For your own protection, passenger transport flights are legally required to be operated under an Air Operator’s Certificate (AOC) which is issued and regulated by the UK Civil Aviation Authority. This provides you with the confidence that the aircraft has been maintained to the correct standard, pilots trained and regularly checked, and proper operating procedures followed – all in just the same way as a normal airline. This means that although your charter will be with Crystal Chauffeurs, we will agree with an AOC holder to operate the flight on our behalf. Their pilots will all be commercially qualified, and highly experienced in the types of flights we specialise in, including to private landing sites and sporting venues.